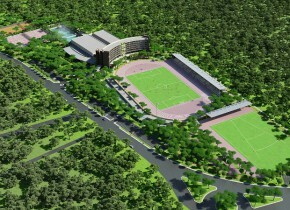 Gloria Sports Arena is a modern sports complex with indoor, outdoor and aquatic sports facilities. It is built on 105 000 m2 (10.5 hectare) in Belek-Antalya-Turkey, where over 40 different sports disciplines and camps will be hosted. Facilities are equipped and built by using the most modern technological developments in sports. Gloria Sports Arena is situated in Belek-Antalya-Turkey and is 30 minutes away from Antalya International Airport. Gloria Sports Arena is connected with Gloria Hotels&Resorts (Gloria Golf Resort, Gloria Verde Resort, and Gloria Serenity Resort) and is 5 km away.